Spring fabrics to embrace this beautiful season with optimal functionality. A new season is upon us and our cloth innovation ensures the development of new spring fabrics to embrace this beautiful season, provide optimal functionality and continually refresh our range aesthetics. ‘’Explorer’’ as the name suggests, is a 100% wool bunch produced specifically with the traveller in mind – for the daily slog on London underground, commuting between diverse landscapes of more tropical environments, or even long haul travel. The bunch includes popular high twist cloths in both formal and semi-formal options, consistently offering the fundamentals of comfort and crease resistance. 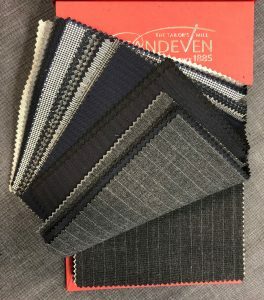 In addition to plains and classic patterns, some playful checks and stripes allow for a level of versatility; a more casual business suit or sports jacket with timeless style. Unique characteristics of wool combined with the specialised construction of these fabrics, provides shape retention, moisture-wicking and temperature regulation properties, especially useful qualities for travel suits and in hot humid climates. Escorial “Primavera“, a summer travel bunch, offers incredible performance with remarkable comfort that is the ultimate wearing experience. The unique properties of this rare fibre from the Escorial sheep has high crease resistance and recovery with an unbeatable fine, soft handle. Woven using 89/3 yarn, both the 100% Escorial and Escorial partnered with 60% summer kid mohair, give the perfect choice of ultra-soft 100% natural cloths, keeping the wearer cool in hot and humid countries. Mohair, another naturally resilient fibre and contender for your Spring Summer sartorial armoury, has over recent years experienced a resurgence. Our most exciting Mohair bunch to date, ‘Summerstrand’ combines ultra-soft Super 100’s Australian Merino Wool with the very finest mohair from South Africa. 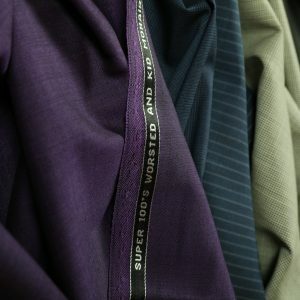 Mohair fabric has the ability to breathe and keep the wearer cool, while also having natural crease resistance. These properties make the perfect travel cloth, the ultimate mohair suit, and enhance the wearing experience. A highly relevant collection of Spring fabrics offered in a high contrast of patterns and plains. This bunch has a true allergy to creasing and has a regal lustre that is hard to ignore. 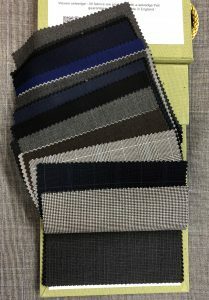 Whether Wool, Mohair or Escorial cloth, they’re all perfect partners for a new Spring Summer Business Suit or Casual Jacket, one of each should do the trick!